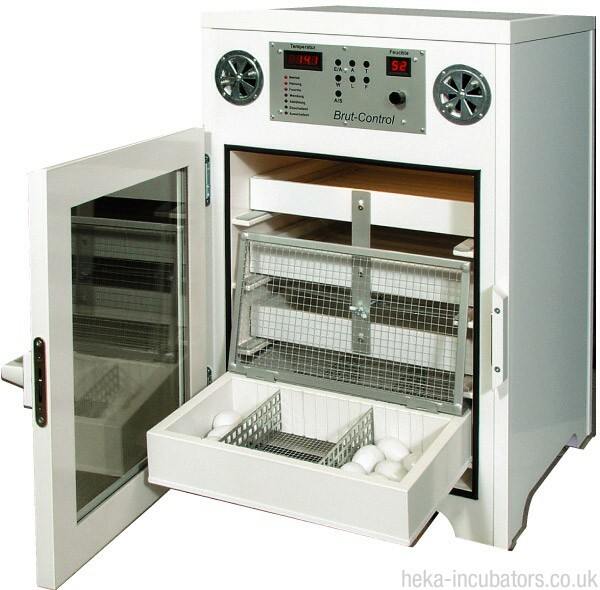 The HEKA Favourite 168 has a capacity of 168 (on wooden trays) or 192 hen eggs (on plastic trays). This "good size" and very good value for money has lead to the fact that this machine is our best seller in this range. The standard equipment includes: Fully automatic egg turning, humidity and temperature regulation, insulated glazing, interior lighting, 4 wooden incubating trays. The incubator is equipped with the following as standard; an interior light, four wooden incubating trays of your choice, a water canister, a detailed manual and different connectors for turning any quantity of trays.